LAKE TAHOE, CA--(Marketwired - Mar 20, 2014) - Spring is one of the best times to visit Lake Tahoe, with snow still on the slopes and the sun shining, enjoy the good weather and even better activities. Today, TahoesBest.com (http://www.tahoesbest.com) revealed its list of best things to do this spring 2014 in Lake Tahoe. The list includes spring events, things to do while the snow is still around, and ways to take advantage of the good weather! Plus, at the end, there are few picks for great places to stay in the area this spring. "Spring in Lake Tahoe is incredible," says Lindsey Skinner, editor of TahoesBest.com, "Enjoy the beautiful weather and awesome activities before the rush of summer crowds make their way to Lake Tahoe in June and July." Skiing: Ski resorts in Lake Tahoe stay open until April or later (for the most part), so get up to the mountains before it's too late. For ski rentals try Heavenly Sports Ski & Snowboard Rental in South Lake Tahoe. They boast several locations around South Lake Tahoe, so get out on the slopes. For North Tahoe ski rentals try Tahoe Dave's. Hang Gliding: We recommend flying with a friend, in two separate aircrafts! Spring flying can get chilly, but luckily Hang Gliding Tahoe has state of the art heating systems (also used by the military! ), so stay warm and get the best views in Lake Tahoe. Flights start at $200 per person for 45 minutes. Spring Loaded: Taking place from March 28 through April 5, Spring Loaded at Heavenly Resort beings the best of spring with live music, events, and good times! This year enjoy music by G Love & Special Sauce, and Yonder Mountain String Band. Fishing: Lake Tahoe boasts world class fishing and spring is a perfect time to take advantage of the calmer waters before the jet skiers and tubers start hitting the water. For a guide to Lake Tahoe's incredible fishing charters use http://www.tahoesbest.com/fishing. Helicopter ride: This is one of those activities that is incredible whatever the season, but spring in Lake Tahoe is especially great for helicopter rides because the snow sticks around and makes for incredible views from the sky. Helicopter rides start at $70, and the sights are priceless. Tahoe North Rentals: For trips to North Lake Tahoe, try Tahoe North Rentals. Not only do they offer perfect vacation rental options, they have a spring special going on through April 20th. The special means $50 off 3+ stays through April 20th, with the promotional code HAPPYWINTER. Heavenly Inn: For South Lake Tahoe trips, Heavenly Inn offers easy access to all the best attractions in South Lake. Walking distance to nightlife and entertainment, while also in close proximity to the Heavenly Gondola Heavenly Inn offers travelers a perfect launching point. Hyatt Regency: Located in Incline Village, Nevada, Hyatt Regency offers everything from spa treatment to the Grand Lodge Casino. This lodging option gives visitors the chance to do everything spring has to offer in the area. The Resort at Squaw Creek: Squaw Valley offers travelers a hub of activities, from award winning ski slopes to a sky jump (great for the kids!). The Resort at Squaw Creek provides patrons with a convenient location for any trip to the famous Squaw Valley. 3 Peaks Resort & Beach Club: Traveling to Lake Tahoe with the whole family? Enjoy the 5 bedroom cabin available at 3 Peaks Resort & Beach Club. With rustic interior decorating and comfortable accommodations, the 3 Peaks cabin is perfect for a family getaway. Plus, it's a short walk away from everything in South Lake Tahoe! For a full list of hotels in Lake Tahoe visit http://www.tahoesbest.com/hotels_resorts. Lake Tahoe is known for outdoor activities, pristine waters and one of the best wedding destinations in the country. TahoesBest.com is the authority on what to do, where to stay, weather updates and all the best upcoming events for any visitor. 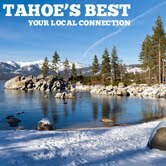 Use TahoesBest.com to find information, reviews and deals on all things Lake Tahoe from concerts to vacation rentals.